The first year of the teenage years can be an exciting time for the teens themselves – new friends, new experiences, new responsibilities are on the horizon, after all. But teenagers can also be a big headache for parents because of their mood swings, peer pressure, and behavioral changes. Even the previously simple matter of choosing gifts has become more complicated! Your 13-year old girl is neither a little girl nor a young woman yet. She’s a young lady whose preferences in gifts may be somewhere between Barbie dolls and makeup, clothes and shoes to make her look like one. Fortunately, there’s no reason to despair about getting the wrong toys and gifts for your newly-minted teenager. We have identified 20 of the best toys and gifts that 13-year old girls will love to receive from their family and friends. We can thank manufacturers for their insights into the 13-year old mind and, thus, their age-appropriate products. With social media, the opportunity to share photos with families and friends, even just acquaintances, is a must-grab opportunity for teenagers. With the FT-568 selfie stick, your 13-year old can take dozens of photos for updating her social media accounts – selfies, mostly. Aside from the smartphone itself, the selfie stick ranks high on a teenage girl’s must-have list. What's Great About It: We like that it has plenty of features aside from being a selfie stick, thus, enhancing the photo-taking experience. The FT-568 has Bluetooth capability, which allows for remotely controlling many Apple devices. 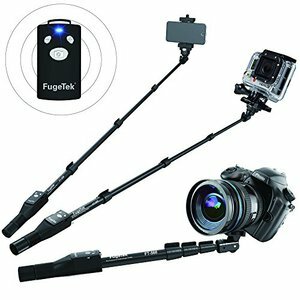 Aside from the usual smartphone, the selfie stick can also handle GoPro cameras, DSLR cameras, and handheld cameras. We also appreciated its 4-four feet extension, 300-hour battery time, non-slip handle, and secure device holder. The iPhone 6S is a joy in itself but it can still be personalized to make it more enjoyable to use. The Imikoko Protective Hybrid Case is one such iPhone accessory, a beautiful case with a practical purpose. Girls can choose from eight different color combos with each combo available in 3-layered schemes. 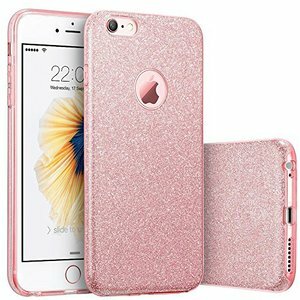 What's Great About It: Even if we’re not 13-year old girls, we still like that the iPhone 6S case is made from durable thermoplastic polyurethane (TPU) and polypropylene layers. The case is also so thin and lightweight so the feel of the iPhone in your hands doesn’t change. The cutouts perfectly accommodate the smartphone’s ports so its functionality remains. We also like that it protects such an expensive smartphone from scratches, nicks and even dents from daily use. The raw talent for drawing discovered in early childhood should be nurtured during the teenage years so that it becomes a polished skill. 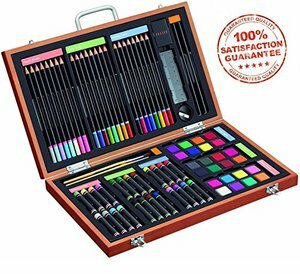 Your 13-year old aspiring artist will love this art supplies set because it provides a wide range of drawing and coloring materials. You can let her spend hours using the watercolor cakes, oil pastels, and colored pencils in creating her early masterpieces. What's Great About It: Aside from the 82 pieces of art materials, we like that everything can be stored inside a portable wooden case with dividers. Teenagers should ideally be taught about the value of cleanliness in their work area, even in their artists’ studios, especially in storing their supplies. The wooden case can be a tool in encouraging such cleanliness. Teenage girls are beginning to experiment with their looks via makeup applications. Start your own teenager in the right ways to apply makeup with this all-in-one makeup kit from Shany Cosmetics, a reliable name in the industry. The kits contains everything that your teenager will want to have in her first full makeup set – blush, eye shadows, lipsticks, and powders in different shades, as well the tools for application. What's Great About It: Aside from the makeup itself, we liked that everything can be organized inside a professional makeup box. Plus, the kit was designed for professional makeup artists – no little girl shades here! This iPad Mini may not be as full-featured as its Apple counterparts, such as the iPad Mini 4, iPad Air, and iPad, it’s still a great gift for a 13-year old girl. 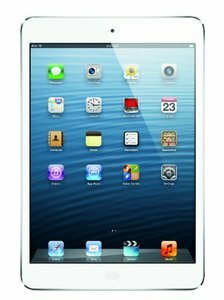 For the basic features of an iPad at an affordable price, it can’t be beat! With its PowerVR graphics, 2.4 Hz A5 processor, 5-megapixel camera, and powerful dual core processor, your teenager will still have plenty of fun playing with it. What's Great About It: It’s an Apple product, a brand known for being the best in consumer electronics particularly in smartphones, tablets and computers. Even a 13-year old knows it. But a terry bathrobe with a hood isn’t something a 13-year old girl can be excited about! Keep in mind, however, that oftentimes the best gifts for teenagers are practical things. 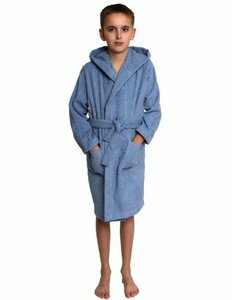 This Turkish cotton terry bathrobe has practical uses from its daily use after bathing to its occasional use at the pool or beach. Your teenager will appreciate that her gifts are more practical and less whimsical. What's Great About It: We like, as your teenager also will, the excellent softness and absorption of Turkish cotton. Many even say that it’s almost like being caressed by clouds when used on the skin while the protective hood shields the face. Aside from makeup, teenage girls are also experimenting with the appearance of their nails. No wonder then that nail art-related gifts like this nail lacquer combo set are popular. The set comes with 50 bottles of high-quality nail polish, each bottle with a different color, and nail polish remover pads. What's Great About It: The 50 colors of nail polish is impressive. Each bottle also has a kid-friendly brush applicator for fast and easy polish application. But we don’t like that the bottles don’t come with their own storage bag or display rack, which can be purchased separately. With so many bottles, it’s so easy to lose track of most of them, even spill them. Teenage girls are becoming more conscious about their physical appearance, especially their hair. 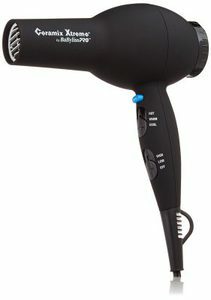 Caring for their crowning glory becomes easier and faster with the BAB2000, an easy-to-use hair dryer. Be sure to guide your teenager about its proper use for best results (i.e., no burns on the scalp and hair). What's Great About It: We like that it’s a full-featured hair dryer that a teenager can use to dry her hair within 30 minutes or so. Among its features are 6 speed and heat settings, infrared technology for fast yet gentle drying, narrow barrel design, and sliding control button. Even teenagers who think they are invincible can experience cold in their lower extremities. 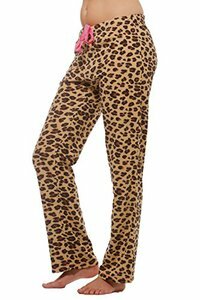 The Warm Winter fleece pajama pants should solve the issue, especially during autumn and winter. The design is just so stylish, chic and cool that your teenager will want to wear it outside, too, perhaps when running errands. What's Great About It: When worn, the 100% polyester fabric is soft on the skin yet provides a warm barrier against the cold environment. Parents and teenagers alike love that it comes in seven different designs while the outer drawstring ensures a comfortable fit. This is a practical gift that can go well with the terry robe. 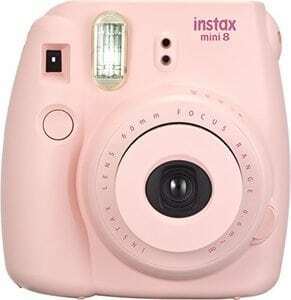 With a typical teenage girl’s penchant for taking photos of everyday things and activities, the Intax Mini 8 is a great gift for her, too. This is an automatic camera that provides instant prints of the shots – think a contemporary Polaroid camera in a cute chassis. This isn’t a point-and-shoot camera because its automatic exposure measurements mean your teenager has to set the right settings. What's Great About It: We like that there are paper prints of the photo, which can be kept as keepsakes, in contrast with straight-to-social-media of smartphones. The prints are also in full color with a professional look to them, as against point-and-shoot photos. Your teenager will love that it’s a step closer to her dreams of becoming a professional photographer. 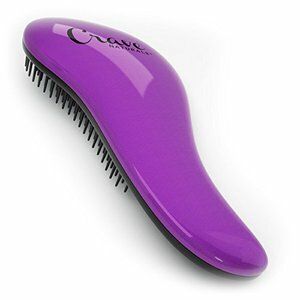 Again, hair being her crowning glory, a teenage girl will love this detangling brush as a gift, perhaps along with the BAB2000 hair dryer. Your own teenager will appreciate the lesser amount of time spent on detangling her long tresses, thanks to the gentle yet effective action of the conical bristles. What's Great About It: We observed that the conical bristles provided gentle brushing strokes even as these untangled hair after a bath, as well as a gentle massaging motion on the scalp. With many teenage girls, untangling hair can be a messy affair, especially for wavy or curly hair, so this brush is a must. Plus, the ergonomic design makes it so easy to use on her own. Teenagers may want to change their hair color for various reasons – peer pressure, personal expression of style, or experimentation with looks. Whatever the reason, you shouldn’t be too upset because it’s just hair, not to mention that there’s always Spa Hair Chalk Salon. Your teenager can change her natural hair color without suffering from the side effects of hair dyes and without permanent changes. What's Great About It: We recommend the hair chalk for teens because it contains non-toxic ingredients, applies easily on dry hair, and washes off quickly with water. You don’t have to spend hundreds on professional hair coloring treatments, aside from letting your teenager experiment with multicolored tresses. With their increased attention to their physical appearance, teenage girls are also starting to use jewelry. Instead of just beautiful jewelry, savvy parents give them useful jewelry, too, such as this Timex watch. This is a cool and chic watch with a slip-thru strap, white face with black dial, and polished silver case. 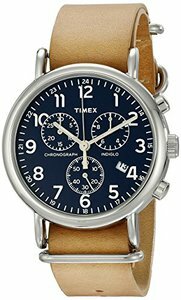 What's Great About It: We like that it’s a Timex, a brand known for its accurate ETA movement so teenage girls can keep track of the time better. The Indiglo lighting makes it easy to see the time in dim and dark conditions, too, a must for following curfew hours. But it’s just resistant for up to 100 feet so your teenager shouldn’t swim while wearing it. 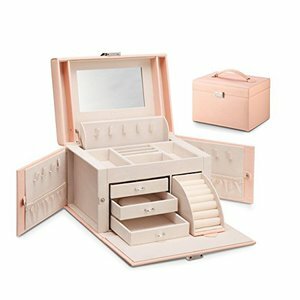 With the small pieces of jewelry that you’re now giving your teenage girl, she will love this jewelry box. The faux leather is durable enough to withstand regular handling, aside from being beautiful to look at. The two compartments, three drawers and ring holder provide sufficient room for her bling, too. The velvet interior lining and small mirror adds style to the overall look. What's Great About It: We like that it’s small enough to place on a side table yet large enough to hold a teenager’s collection of jewelry, whether it’s the genuine or the faux kind. She can also organize her collection, thanks to the multiple storage options. Nail art means using the nails as a canvas for works of art. Teenage girls are drawn to it because it’s an opportunity to express their unique personality and creativity. This Nail Art Kit is one of the most popular options because it contains virtually everything your teenage girl will need. 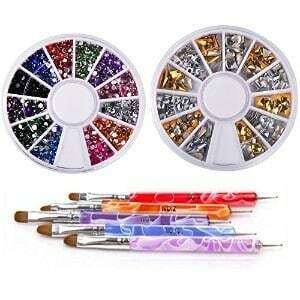 These include detailing pens, dotting pens, marbling pens, stripping tools, and paintbrushes for the nails. What's Great About It: We like that it comes with an e-book containing instructions for creating the best nail art. The tools are, of course, a girl’s dream. Obesity due to overeating and/or under-exercising is a disturbing trend among teenagers. Fortunately, parents are encouraging their teens to exercise more, even if it’s just 30 minutes of running. If your teen is into running or into a sports involving plenty of running, then a pair of Nike shoes is a great gift. What's Great About It: We like it that this pair of women’s running shoes have a few running-specific features. These include the Air-Sole, which decreases the compression forces on the feet, and the Solarsoft sock liner for added comfort. 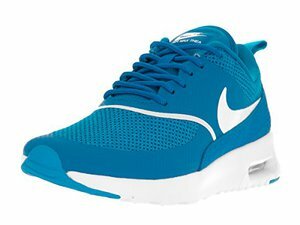 Besides, these are Nike running shoes, one of the best in the industry. Say Justin Bieber’s name in a group of teenagers and you’re likely to get loud screams of joy and adoration. So, when you give your teen this eau de parfum spray, you’re racking up brownie points as the best parent in the world. Almost every teenage girl we know is a Bieliber! 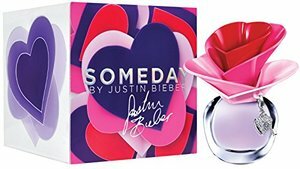 What's Great About It: We’re not Bielibers ourselves but we have to say that the Someday eau de parfum is a nice scent for 13-year old girls to wear. It’s a combination of floral and fruity tones including mandarin, pears, and jasmine with a vanilla finish – a refreshing scent suitable for teenagers. Music is an integral part of a teenager’s life because it allows her to express her feelings, connect with her peers, and be in tune with the trends. Your gift of this Bluetooth speaker will make her more attached to music – and you never know if you have a musician in your hands, too! 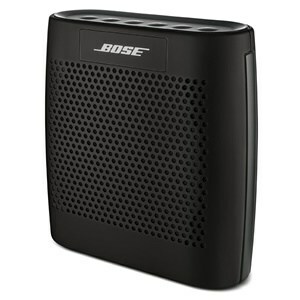 What's Great About It: We like that it’s from Bose, a reliable brand in the audio industry. The speaker also comes in a wide range of colors while its sound is clear and crisp with a rich bass. The Bluetooth capability means that your teen can use it without needing cables and wires, a convenient feature when she likes to listen to music anywhere. 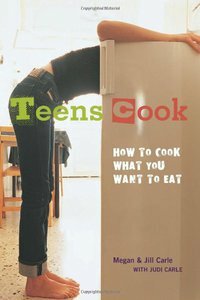 With girls being more picky eaters and more conscious about their diets, this diet-related book is an excellent gift to get your teenager started on a healthy diet. Plus, it contains over 70 easy-to-do recipes that will add to her current repertoire of fried food. What's Great About It: Yes, we love it that the book’s authors are also teenagers so they know how to touch base with their core readers. We also like it that the book contains the basics of cooking that can be used for other recipes not included in it. Who says that 13-year old girls don’t fantasize about being mermaids? Yes, they still do but in different ways than from they were pre-teens. 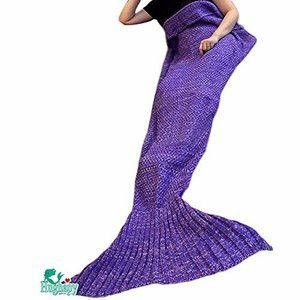 With this mermaid-inspired sleeping blanket, your teenager can continue fantasizing about being Arielle while enjoying a nap. What's Great About It: The soft yet durable 20/80 cotton/polyester fabric makes skin-to-fabric contact so comfortable. It’s also a versatile blanket – open it and it’s a blanket, wrap the sides and it turns into a sleeping bag. The mermaid tail is a bonus. Don’t be upset about your teenager’s changing needs. If you know her personality including her interests and hobbies well, you should have an easier time choosing the best toys and gifts for her. For our part, we considered several factors in choosing the abovementioned toys and gifts. First, we considered the reputation of the manufacturer for safe toys based on non-toxic materials, durable construction, and safe design. We chose Nike and Bose products partly for this reason. Second, we actually tested many of these items to ensure that, indeed, these work as well as can be expected. 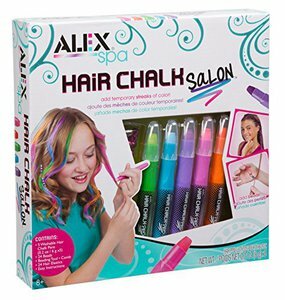 For example, we tested the ease of application and removal for hair chalk as well as ease of handling for the hair accessories (e.g., hair dryer and detangling brush). We also read consumer reviews so that we have a feel for the likes and dislikes of parents and teenagers alike. Third, we considered the age-appropriate features and functions of the products. We chose products based on the positive reception that these can get from teenagers, such as the Justin Bieber eau de parfum. We obviously considered the overall quality, especially in terms of utility and beauty, of the products. We also factored in the cost since most parents have a budget for these things. Many parents dread the teenage years for good reasons. But it isn’t all doom and gloom because good parenting skills, such as honest communication between parents and their teens, can increase the chances for relatively happy transitions. These transitions are from pre-teen to teen and from teen to adulthood, which are considered among the most crucial for a successful life. Here are a few things that parents of 13-year old girls can expect. Bear in mind, nonetheless, that each teenage girl develops at her own pace so comparisons should be avoided, when possible. These are general things that can happen to your new teenager. The physical changes are becoming more apparent because of the onset of puberty. Your teenager will likely be more physically active, even as her body begins taking on the feminine form (i.e., larger breasts, wider hips). You will also spend on sanitary pads and tampons since the first menstruation begins at this age. But with the physical changes come a few issues. Good personal hygiene becomes a larger issue due to the increased awareness of her physical appearance. Your teenager will be more conscious of her hair, skin and nails, thus, makeup and cosmetics are great gifts. The behavioral changes can be worrying for parents but these are usually normal coping mechanisms. Your teenager, for example, may be more sensitive in her feelings with a need to be left alone. You may also see an increased interest in boys, clothes and shoes, and social events. Parents are also worried about the increasingly rude behavior of their teenagers. The stronger need for challenge authority also manifests itself at this stage. But don’t be become so stressed as to stop understanding your teenage daughter. Like her infancy, this stage will pass, too. So hang on and enjoy the ride! We hope that we have given reliable information about 13-year old girls and the gifts that are appropriate for them. We can only recommend based on our personal experiences, too, so the final decision remains in your hands.